This caramel filling is flavoured with the extremely popular Japanese delicacy called yuzu (Japanese citrus). As a result, we get a deliciously savoury chocolate square with an unparalleled balance of acidity that makes this chocoMe Petit 21 even more appealing. The tropical passion fruit is an irresistible pair to the pleasantly smooth caramel with freshly toasted black sesame seeds on the inside. The paste made from the hazelnuts from Piemonte - which have a protected designation of origin - could not have a purer hazelnut flavour. 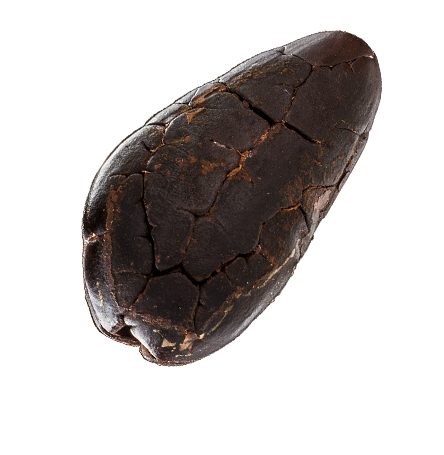 This filling is thoroughly mixed with roasted Ethiopian Harrar ground coffee, which is perfectly protected by the milk chocolate corpus. The fresh, slightly acidic raspberry puree and the freeze-dried raspberry were both among our most popular ingredients. This time we found their perfect match in a 70% French dark chocolate. The crunchy dark chocolate with an intensive cocoa flavour and the sour, yet silky raspberry puree are simultaneously in contrast and in line with each other.